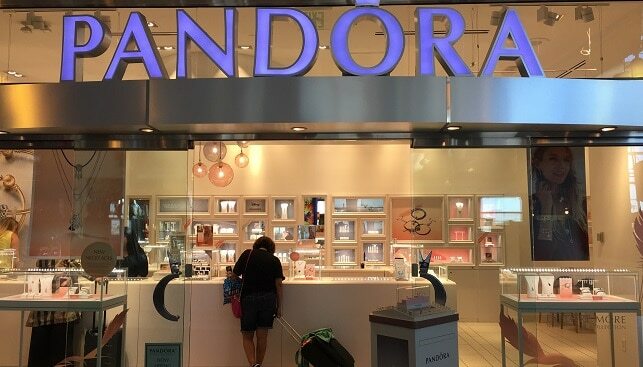 Pandora has reported its sales and revenues for the third quarter of 2018, calling the quarter “unsatisfactory” as the group’s revenue decreased 3% in local currency “due to timing of shipments, change of inventory levels in the wholesale channel and negative total like-for-like”. As a result of its Q3 performance as well as a “weak start to the fourth quarter”, Pandora adjusted its full year revenue growth to 2-4% in local currency (previously 4-7%), while the EBITDA (earnings before interest, taxes, depreciation and amortization) margin guidance is unchanged at around 32%. The jeweller announced that following “a health check of the business”, it has launched Programme NOW, which includes several steps: acquisitions of franchisees will be significantly reduced; fewer stores will be opened, focusing on selected key markets with white space areas; and a focus on reducing working capital, among other things. The company added that it “still expects to add around net 250 concept stores during 2018”.